The first two tiers [of the Grand Lotus Spear] are Magic but all the others are Ranged. Is this a bug? An elegant weapon from a more elegant time. This accurate spear and energise you on its special, healing you and making deal addition damage on your next attack! An elegant weapon from a more elegant time. This accurate spear can energise you on its special, healing you and making you deal additional damage on your next attack! 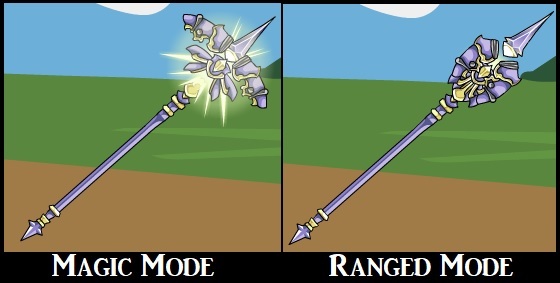 Apparently, the spear "changes from Ranged to Magic", does that mean it will have a Magic toggle? That is not this spear. That is a yet unreleased weapon. This tome comes with a variety of dark and fiery spells that channel the power of Cerberus itself! 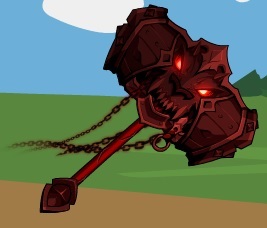 This hammer draws on Cerberus' demonic powers and can hit with Darkness and Fire attacks, whichever is stronger! 1) Wicked Pulse - 4 hits, randomly Fire or Darkness, *1.1 damage. Deals -25% non-LS damage (so 75% Base, 75% Rand, 75% core stats, and 100% LS damage). Costs [MPCost1] MP. 2) Demonic Ward - generates a Chi Shield, similar to Gandolphin. Deals one hit of Magic Heal damage, *0.85*0.9 damage. Uses INT for stats. Damage is reduced to 0 immediately before it gets inflicted, and instead you get a Chi Shield (absorbs [damage dealt] damage, efficiency is [damage dealt] / [SPCost]). Doesn't cost anything to activate. 3) Inferno Wall - 4 hits, randomly Fire or Darkness, *1.1 damage. +10 BTH lean. Standard spell. Costs [MPCost2] MP. If spells are disabled (by the stat trainers, etc), then you do a Bow Attack. 4 hits, randomly Fire or Darkness, *1.1 damage, +2% damage for not having a "Special" special. MC Melee Hammer. Seeks between Fire and Darkness. -5 BTH lean on all weapon attacks. Special is three hits, Magic, seeks Fire/Darkness, +15 BTH lean (which adds with the above for a net +10 BTH). is the demonic ward supposed to use up your turn? or is it supposed to be quick-cast like gandolphin? I'm assuming that the option to draw mana is only available when spellcasting is available but you don't have enough MP to cast Wicked Pulse? You know, just like with the Paladin's Legacy series and its Radiant Blast spell, which I assume is the standard for tomes? And, assuming that this is indeed how the option to draw mana functions, let's assume the following scenario. Spellcasting is enabled and you don't have enough MP to cast Wicked Pulse but you do have enough SP to cast Demonic Ward. You then click the regular attack button with the Tome of Cerberus equipped. Is casting Demonic Ward the only option available and you can't draw mana? Does it not give you the option to cast Demonic Ward and automatically draw mana? Or do you get the option to either cast Demonic Ward or to draw mana? On a more general note, suppose you have a tome like Paladin's Legacy or Tome of Cerberus equipped and you click the regular attack button. Do the menus of options that comes up have a "Back" button available? If they don't then why not? Pop-up messages for toggles and "Back" buttons are always useful features to have around. I can most certainly attest to this as someone who has both the Archmage Research spell and the Gemini shield in my one character's storage and active inventory respectively. Oh, and what Dreiko said. I've just found out about that and I'm curious as well. On top of that, I've heard that casting Demonic Ward while you already have a Chi Shield up uses up your turn as well (or maybe this applies to just casting Demonic Ward while having a Chi Shield that was specifically established by a previous casting of Demonic Ward active rather than applying to Chi Shields from any source, I'm not too sure). Don't know how trying to cast Demonic Ward interacts with having a Mana Shield active, though. Additionally, this is a bit of a nitpick but...the attack that Tome of Cerberus does when spellcasting is disabled (as with all tomes) is more of a "wand" attack than a "bow" attack, isn't it? Since tomes are Magic weapons and all. And this tome probably works different from the other tomes in that you always open the little spell menu, no matter what. That is because you can indeed still cast the SPell. But, I assume, you can also click to draw mana. MC Light weapon, click to swap between Melee sword / Ranged spear / Magic staff. +5 BTH lean in Ranged mode, otherwise +0 lean. Effect: You deal +25% damage, but you take +(25/1.4)% damage. In Magic mode, you take +(0.75*25/1.4)% damage instead. Melee: LSs do *1.5 LUK damage. Designed for those who recklessly throw themselves into battle! This blade lets you fight so that you deal extra damage but also take extra damage. It also can swap between Melee, Ranged, and Magic forms, and deals enhanced Lucky Strikes! 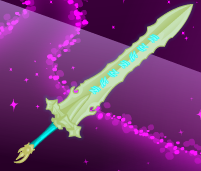 Blade of Peace also needs an updated image. MC Light Spear. Not discounted. 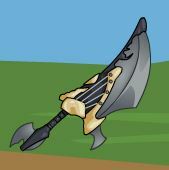 It is both a Ranged and Magic weapon (you can click the head of the spear to switch between the two attack types). Specially designed to take down, those who refuse to see the light, this spear is exceptionally powerful against Blind foes! Click the head to switch to Magic damage. MC: +10% damage Special tries to burn if the monster is Blind. Magic Earth Staff, no lean of any kind. Special summons shrooms that release spores, this attempts to inflict Daze on the mob. 5% MC /0.2 for 20% special *0.75 due to Magic = 18.75% Melee value. So special attempts to inflict a (22.06*EarthRes)% Daze for 2*Hits(Max2) turns at a 50% save. Player VStat/LUK vs mob's END/LUK. MC Light spear. Click to toggle Ranged/Magic. +4 BTH lean on normal player attacks; +8 BTH lean on weapon Specials. Special is two Magic hits. MC: If the monster is Blind, then the Special Burns the monster (Light element, 5 rounds, 2*85/93 *[hits connected]/2 *[0.75 for Magic only] power). The monster can resist with a save (inflict with VStat/LUK; resist with CHA/LUK). **Click the weapon's head to swap to Ranged damage! **Your weapon now deals «» Ranged damage! *†Click the weapon's head to swap to Magic damage! ††Your weapon now deals «» Magic damage! *‡Your blind foe is left defenseless, and erupts into Light flames! ‡‡Your foe may be blind, but they avoid the worst of your attacks. It's not supposed to be quick-cast. I've removed the "fails if you already have a mana/chi shield" thing. That was only put in on Gandolphin because it's quick-cast, and this isn't. No, Draw Mana is always there. And it's always there for Paladin's Legacy too so I'm not sure what you mean? And like... with all due respect, could you playtest the item before asking basic questions like this? I get asking complicated things (how does this interact with X?) but that first part you can check for yourself really easily. Energy Magic Mace. Has a 0.1 base lean and a -3 BtH lean. Has two specials, one that happens 10% of the time and does 75% damage, the other happens another 10% of the time (so 20% chance total for a special, 50/50 you get one or the other) and does 125% damage. Magic Fire club/blunt weapon. 0.25 base lean and -3 BtH lean, no special so +9% damage. MC effect is like the elemental Dragon Blades, deals +5% damage if fighting a Drakel/Dragonkin that's not the opposite element of the weapon. +7.5% if fighting an opposite element Drakel/Dragonkin, or if fighting a non opposite element Dragon. And finally +15% damage if fighting a Dragon of the opposite element as the weapon. Melee Water and Ranged Wind Maces/Clubs(? again, the others are just "Blunt"), 0.25 base lean and -3 BtH lean, no special so +9% damage. Aquella has +5% bonus damage and Elizabeth's has +4.25 bonus BTH. 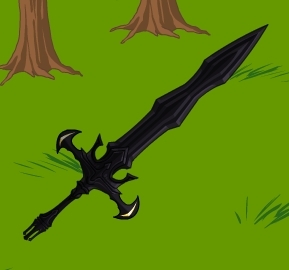 Darkness weapons, 100% proc Ranged Throwing and 0 proc Melee Sword. Both have the same +4.25 BtH MC, nothing unusual otherwise. 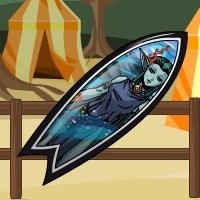 This is the perfect thing for catching some waves at the beach, and it also works great for bludgeoning your enemies! This one is imbued with Aquella's power, and strikes with the force of a tidal wave! This is the perfect thing for catching some waves at the beach, and it also works great for bludgeoning your enemies! This one is imbued with Elizabeth's power, and strikes with ninja-like accuracy! 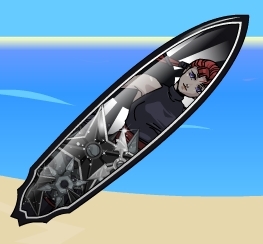 This is the perfect thing for catching some waves at the beach, and it also works great for bludgeoning your enemies! This one is imbued with Galana's power, and deals greater damage against dragons and their kin! Gorthor Battleaxe/Whistler/UmbrelLance/Spear of Lumens: Not discounted, so rare. Dreadknight's Cleaver/Rainbow Raygun/Cataclysmic Crossbow: Discounted, so un-discounted and moved to Adder's Forge. Special is two hits. It deals *2/3 damage and heals you equal to half the damage dealt. The damage is split so that the first hit does 1/2 damage and the second hit does 1/6 damage. MC: Against monsters with negative Ice resistance, it becomes a Fire weapon and deals +10% damage. Instead of healing HP, its Special heals MP equal to 3/4 the damage dealt. Melee/Magic Earth Mace, -3 BtH lean and 0.15 base lean. Click the handle to toggle Melee/Magic, click the head of the weapon to transform into the armour. Melee/Ranged/Magic Darkness Axe/Halberd/Mace, -3 BtH lean and 0.3 Base lean. MC effect is a +10% damage trigger when facing Demon mobs, and will seek between Light/Dark damage.